ACCOMMODATION We are pleased to announce the release of the first property on this exceptional new development by North Park Homes Ltd. Plot one offers an incredible 2485 sqft of family friendly accommodation It is located at the end of private driveway with 4 other properties. The flexible living accommodation comprises: entrance porch, hall, stunning open plan living and dining kitchen with open plan garden room, studio, utility and cloakroom on the ground floor. 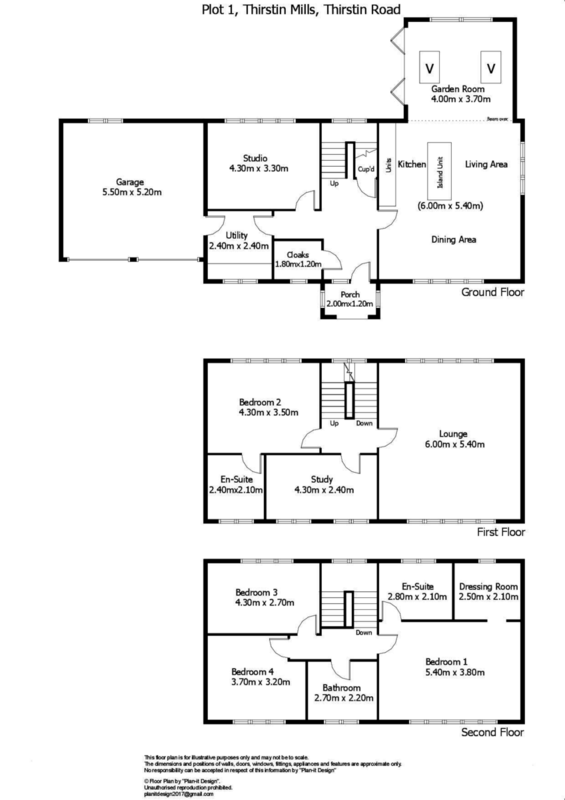 On the first floor there is a landing, large lounge, study and guest bedroom with en-suite. On the top floor there are 3 double bedrooms (en-suite and dressing room to master) and a family bathroom. It will be finished to an exceptional modern specification and buyers with who are successful in reserving at an early point in the construction will have the opportunity to customise to their own tastes. Externally there is a driveway / parking area giving access to the attached double garage. To the rear there will be a pleasant enclosed garden.